WOLFshoes and Ms. Indigo Jones speak with Marbs. He is in charge of the Desert Arts program, creates the Desert Hearts Records album artwork and he will also be DJing at the Spring edition of Desert Hearts happening April 1 - 4, 2016 at Los Coyotes Indian Reservation. 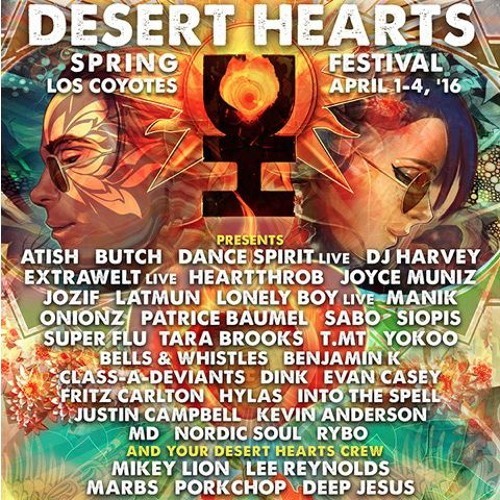 For tickets and more info visit www.deserthearts.us.